Wing Chun is a traditional martial art whose origins can be traced back to the famous Shaolin Temple in China. 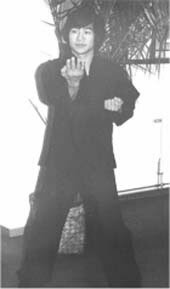 Through his illustrious career and dedicated training Master Simon Lau has developed the Wing Chun style into a highly effective, practical and recognised style of martial art. The Wing Chun System focuses on close range movements with fast explosive power to combine both simultaneous attack and defence. Its emphasis is on instinctive and lightning reactions utilising your whole body. This level of ability requires practice so that the student becomes accustomed to the movements and their confidence grows in applying Wing Chun. Training is structured around learning a specific sequence of movements called a ‘Form’ and realistic practice of reactions against a training partner called ‘Sticking Hands’. Positioning and movement are taught via the ‘Wooden Dummy’. 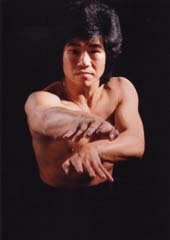 Students can specialise by learning how to use the traditional Wing Chun weapons. 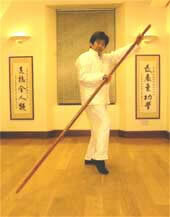 3rd Form (Bui Ji) will teach the student about delivery of their power through to their fingertips. 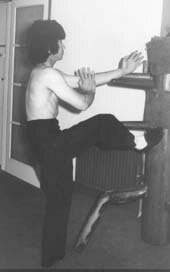 The Wooden Dummy is the practice of Wing Chun movements against a ‘fixed’ wooden opponent. This will teach and allow the student to practice their positioning, movement and delivery, using their body as a whole unit. Butterfly Knives (Ba Jam Do) are used as an extension of the arm, and will improve the student’s wrist strength, stance and movement. Sticking Hands is an interactive series of movements with a partner of blocking, trapping and attacking that will teach the student about how they use Wing Chun and the framework of their body to control and overcome their opponent in the shortest time possible. 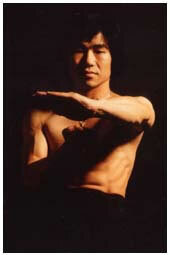 A true student of martial art should first “learn how to learn”. Martial art techniques are just a group of movements that represent a particular style. The role of technique is to provide a framework and act as a tool for your body to emanate and deliver power. Technique alone, and without intention, does not make for a good martial artist. It is merely a tool that allows the student to practice and become accustomed to the particular movement; bringing it alive so that they can to understand where their energy is derived and how it is delivered. The student’s aim is for the movement to be explosive, powerful and reactive. In this sense, and with the proper teaching, it is for the student to discover and experience for themselves the true essence of martial arts. 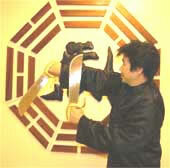 Master Simon Lau has dedicated his life to learning and teaching Wing Chun, and therefore an unparalleled, unique knowledge and ability in the Wing Chun style.